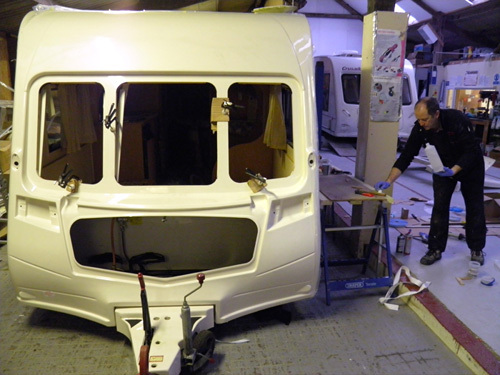 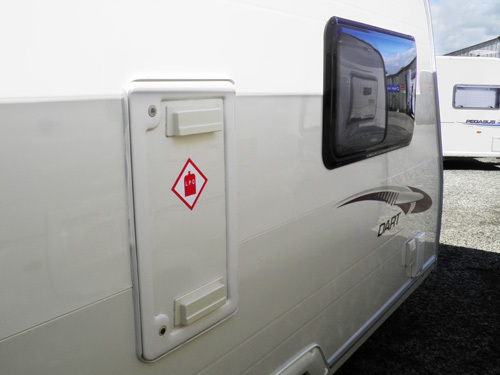 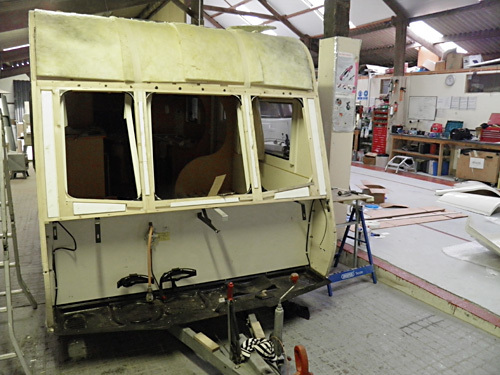 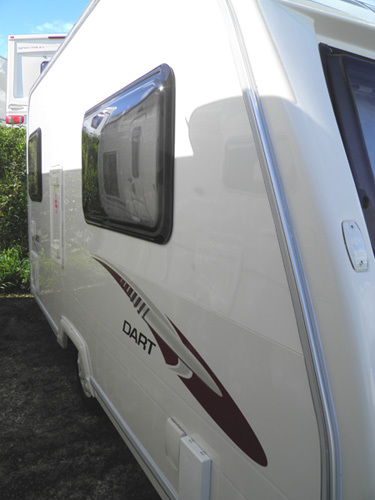 North Coast Caravans Ltd. - Camping Equipment Outwell Easy Camp - Bude Cornwall. 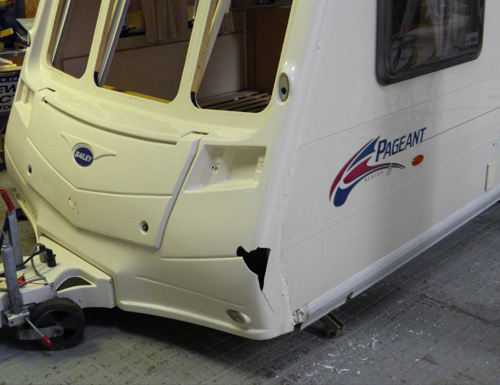 Bailey Pageant with front damage. 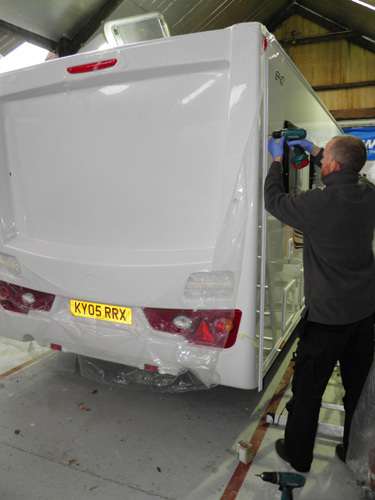 New front panel being fitted. 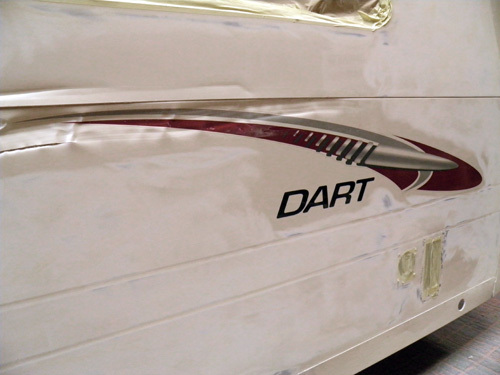 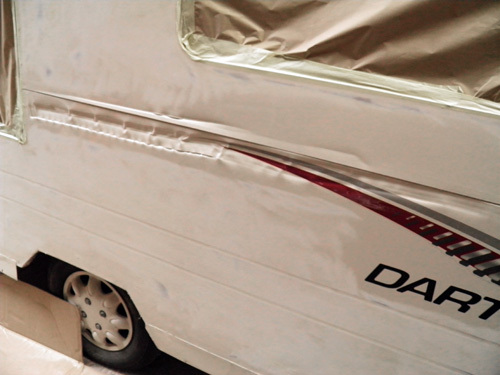 Side damage repair on a Dart. 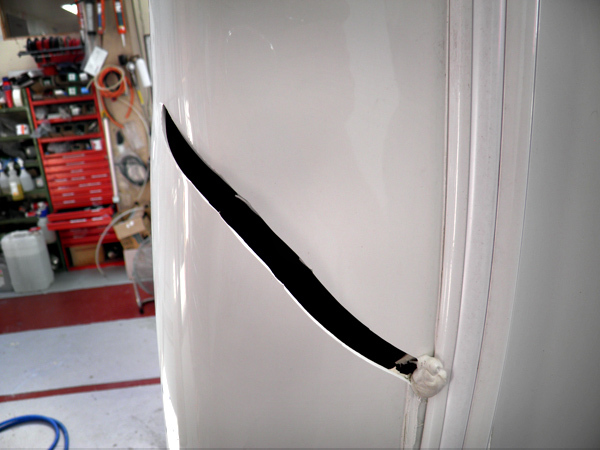 As new after repair in our workshop. 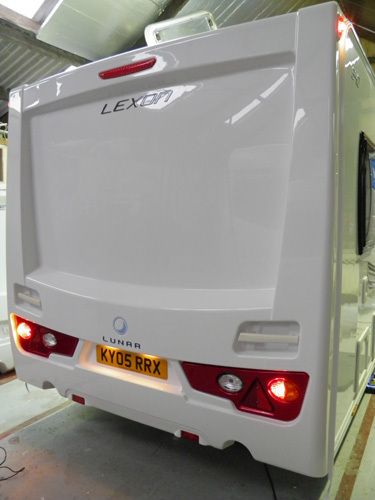 Replacing damaged rear panel on a Lunar Lexon. 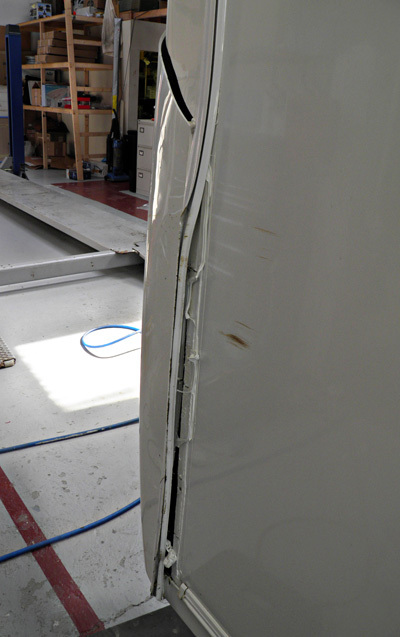 Lunar Lexon rear panel accident damage. 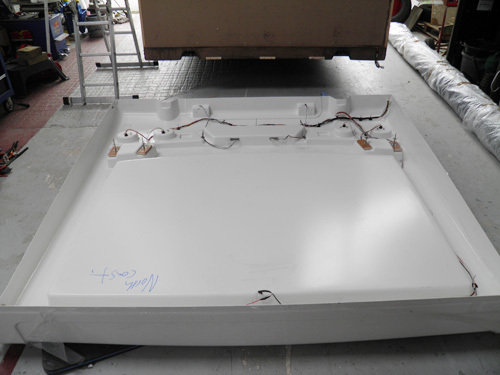 New rear body panel arrived. 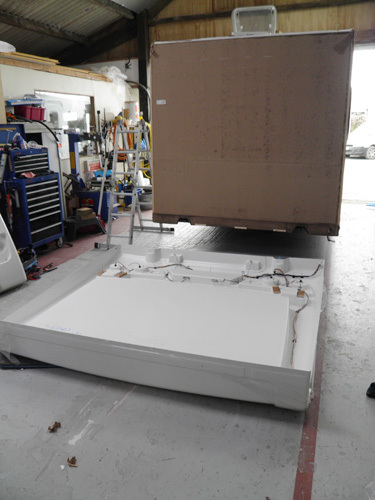 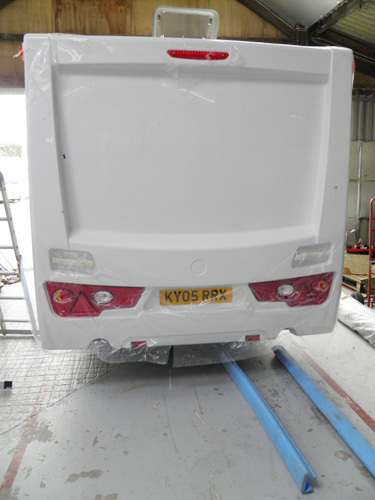 Completed rear panel replacement ready to leave our workshop.